Because of his bad free-throw shooting percentage, Andre Drummond is considering switching to the unconventional underhand free-throw shooting style. 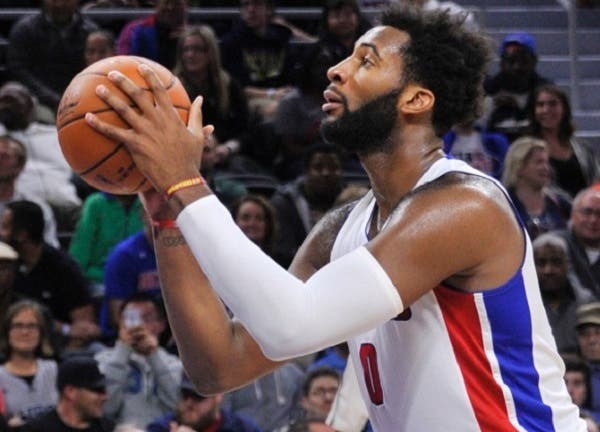 According to reports, Drummond shot 35.5 percent from the free throw line this season, a career-worst average. “As far as shooting underhand or anything else, it’s fair to say my discussion with Andre yesterday and the discussions [general manager] Jeff [Bower] and I have had and staff — everything is on the table,” Van Gundy reportedly told The Detroit News. Grundy also said Drummond’s poor free-throw shooting becomes a disadvantage for the Pistons in clutch situations. So by switching free-throw styles, Drummond’s free throw shooting could improve, and could make him a threat to opponents. NBA legend Rick Barry was known to use the underhand free-throw style. Should Andre Drummond consider making the switch? WATCH: Me Before You's New Trailer is Here! Get Ready for SPLASH, a Sem-Ender Swimming Party! LOL! You won’t Believe What This Person was Selling Online!